The UAE National Day weekend is going to be a four-day long celebration with shopping offers, art installations, decorated vehicles on the road and of course, fireworks. Here's where you can take your family and friends for a nice night out that ends, or starts, with beautiful fireworks displays. Set just days after the 10th Grand Prix race finale, Yas Island in Abu Dhabi will feature National Day celebrations from 2pm onwards. As is usual every year, you can enjoy fireworks at 9pm on December 2. It is a great family event to attend featuring live shows, car displays, food trucks and stalls, arts and crafts for the kids and more. 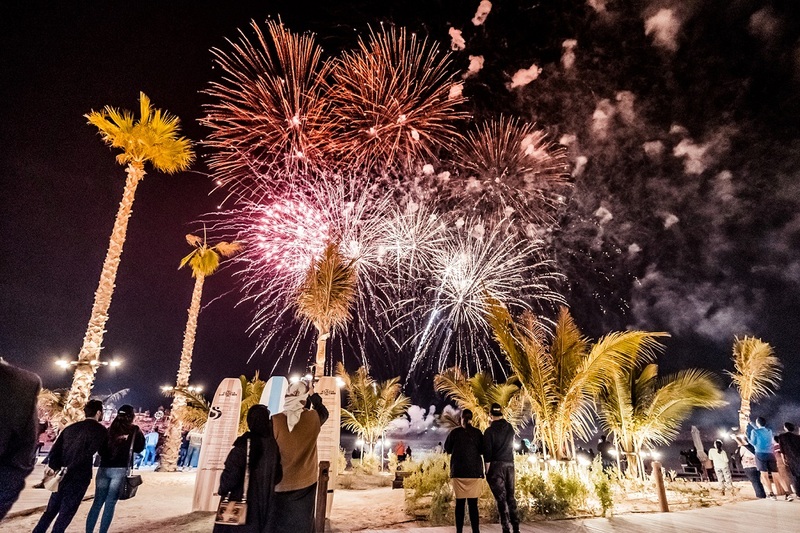 Over the course of the two days (December 1 and 2), firework displays will light up the skies at The Beach (8pm) and La Mer (9pm), while La Mer will host famous singers Fouad Abdul Wahed and Mohammed Al Shehhi in concerts that are open to the public, free of charge. This venue is a double win for visitors as you can enjoy the record-breaking IMAGINE show at Dubai Festival City Mall (happens daily) along with two separate fireworks shows on December 2 (8pm and 10pm). A relatively new venue, Al Seef is perfect for families and friends who want to enjoy the winter in Dubai with the great food and activities. Enjoy a stroll by the Creek as the skies light up with fireworks at 8.30pm on December 1 and 2. This venue is also the easiest to get to on the Dubai Metro; just hop off at the Burjuman station and walk to Al Seef.